How to Make a Simple DIY Window Seat Cushion - from Reclaimed Denim Jeans! 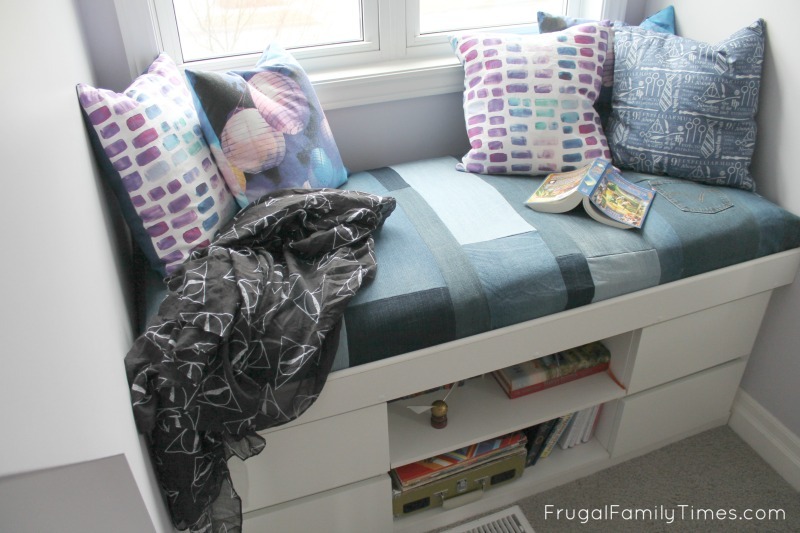 A few weeks ago we shared our tutorial of how we made a built-in IKEA window seat from two IKEA nightstands. It turned out so well! Our daughter is often found here curled up with a book in her little nook. 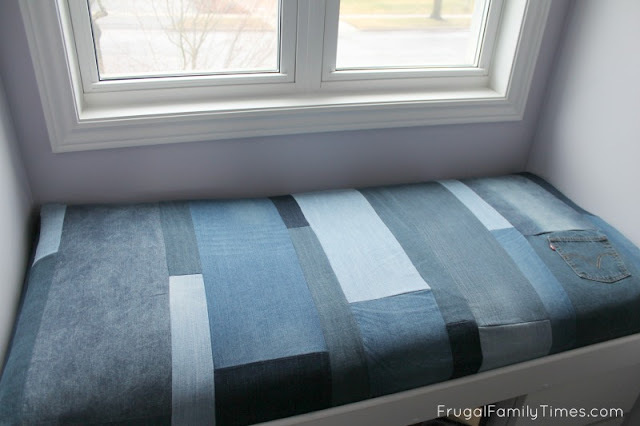 The part of the window seat we didn't cover in the IKEA window seat tutorial was how we made the DIY window seat cushion. If you choose to make your cushion cover out of one large piece of fabric - this can be done entirely no sew! That's how we made the cushion the first time and it held up great for years. This time around we are decorating for a teen girl. We have a teenage daughter!!! Cue the heart palpatations and pride. She is such a great girl. She is kind, funny, loyal and smart. It is such a pleasure to redecorate her room to suit her personality. We started first with a colour scheme: soft violet, grey and dark blue denim. (You can see our mood board and ideas on our Teen Girl Bedroom Pinterest Board.) She's a no-fuss blue jeans kind of girl and adding denim elements to her room is fitting. Also, after making a denim quilt out of old jeans for our front porch, I knew that we could make something really cool for very little cash. Part 1: Reclaimed Denim Jean "Fabric"
If you want to simply make a no sew built-in cushion from a piece of fabric - skip to the next section below. 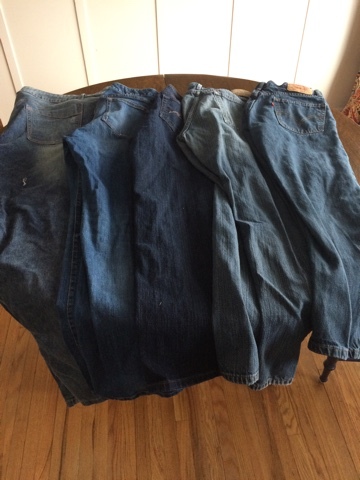 A tip: When your choosing your jeans at the thrift store, start at the largest sizes and work your way down. Large size jeans cost the same, but give you more fabric to work with! 1. Wash the jeans really well - a couple of times if needed. This is your last chance to get any funky smell out of them. 2. Cut your jeans into strips. 3. Decide on the depth of your seat to determine the width of your finished piece. Each of our finished stripes needs to be at least 39". 4. 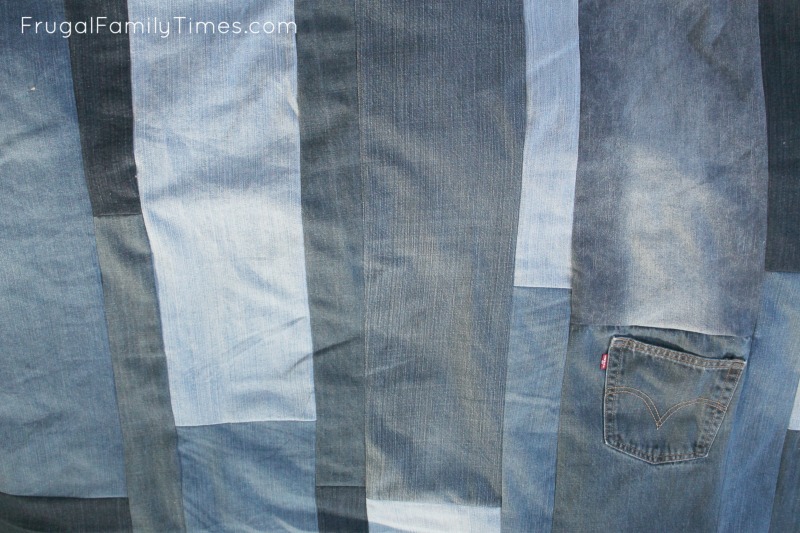 Pin and sew your stripes. If you want to add a pocket, like we did, you'll need to be strategic about where your stripes land. Otherwise, you can be completely random. We weren't perfect with our stripes by any means. The perfectionist in me wanted to go back and fix with wonky areas - however, my daughter gave me "the look" that said, "It looks fine. Leave it. Don't be a crazy person, Mom". 5. Ironing is so important to any sewing project. It always makes things look more finished. 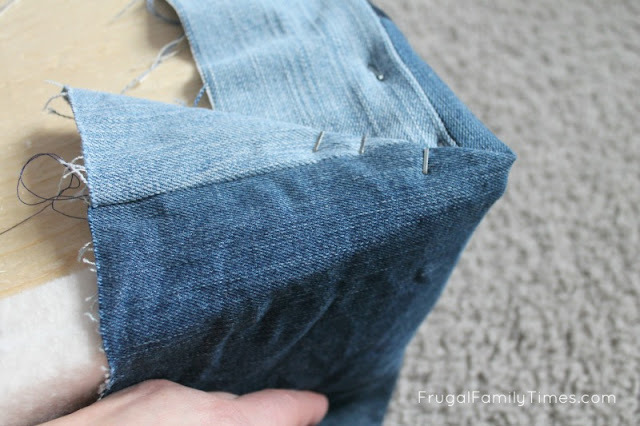 Don't skip this step, there is no going back a fixing the lumpy areas once you've finished your cushion. On the wrong side, iron the seams flat. We got a piece of upholstery weight foam and cut it to fit the window seat top. A piece of plywood cut to fit the window seat top area. A cover piece of fabric, the same size as your denim outerlayer. This piece will ensure the cushion holds it's shape well. 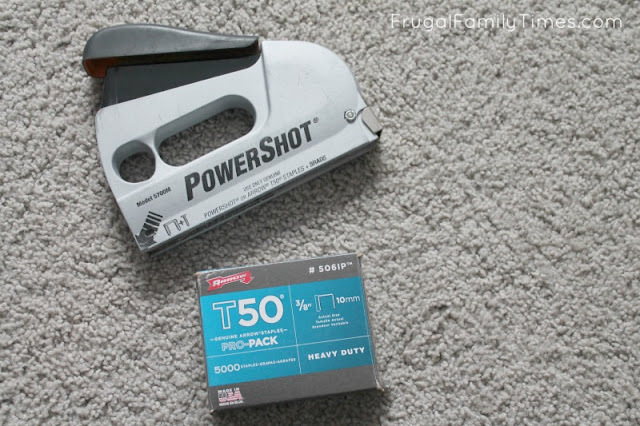 This PowerShot stapler from Arrow is my favourite - it puts the pressure in the the perfect spot: forward - not in the back like a conventional stapler. 1. Make sure your plywood, cushion and batting are all cut to the proper size - the length and width of your window seat. 2. 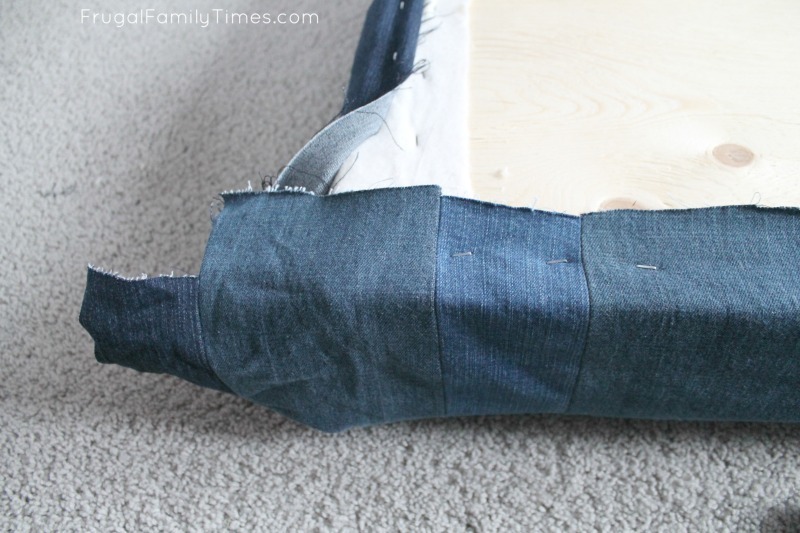 Work in reverse: lay down your lining fabric, then batting, then cushion and finally your plywood. Carefully line them up and centre them on your lining fabric. 3. 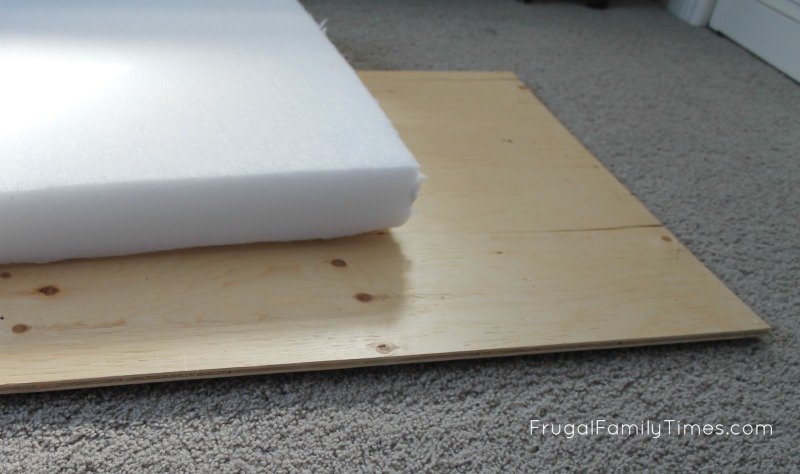 Stretch up your lining fabric and staple it to your plywood base. 4. 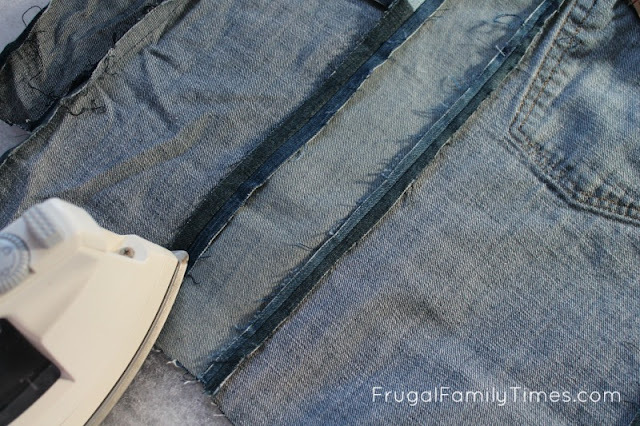 Trim any excess of your lining fabric - you don't want it to bunch up when you put it all in place. 5. Next lay your cushion on top of your finished piece of fabric. 6. 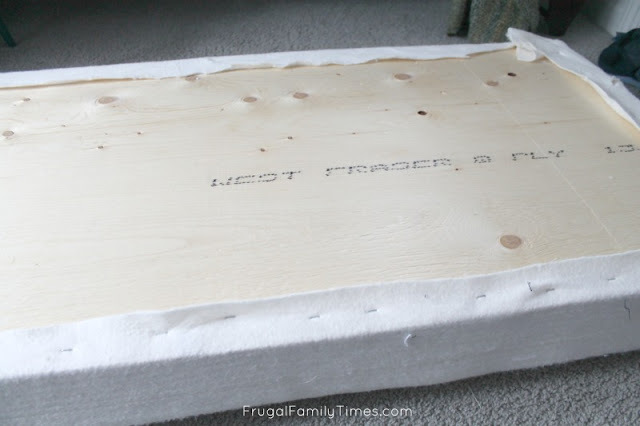 Stretch your finished fabric up over the cushion and, once again staple it to the underside of the plywood. Staple on the sides, to within a few inches of each corner. Pull up the slack and staple the fold at the corner. The rest is basically hospital corners (like making a bed) only more permanent with staples! You will have a flap. 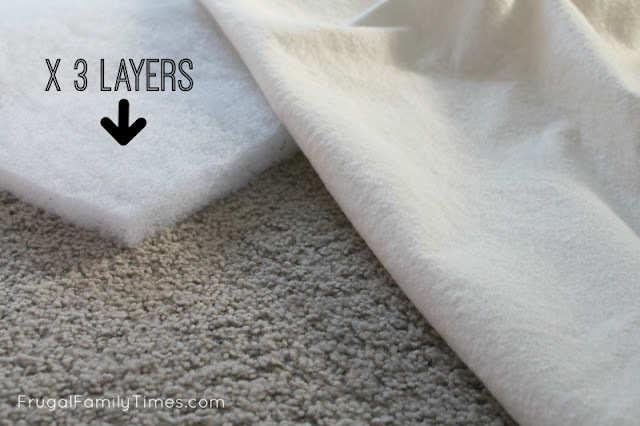 Tuck the excess fabric into the corner, smoothing the sides down. 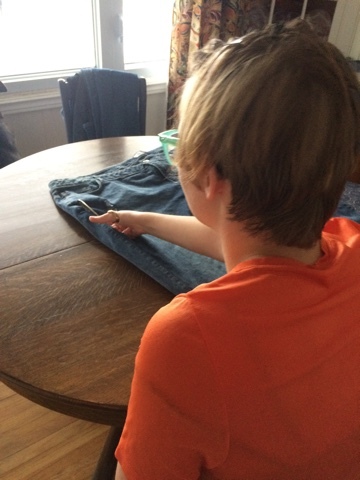 Pinch the fabric to make a clean angled fold. 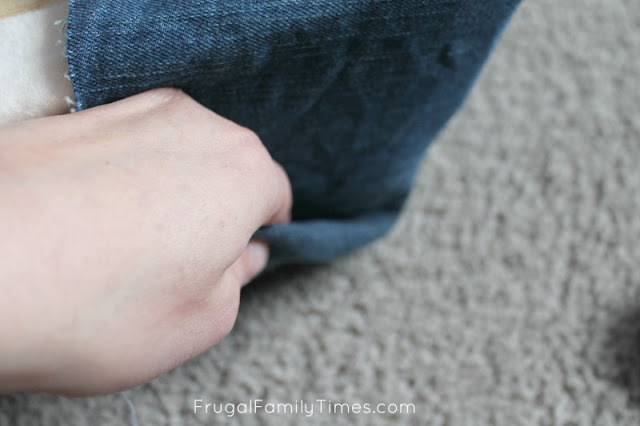 Pull that fabric fold up and staple a few inches down from the corner. Fill that sucker full of staples so it stays put. Yeah. Those wonky stripes make my eye twitch, but they make my daughter's eyes go all heart shaped, so that's what really truly matters. Slide your completed cushion into place. Cover with pillows and drape with a lanky teenage girl. How cute is this phone pocket?!? I made them using super cheap fat quarters and our super easy pillow tutorial. We planned the pocket to land just next to where she sits. She can tuck her phone in there, or whatever else she likes. Of course, I felt the need to find Levi's red tab jeans for this little touch. I've got a few more projects to complete and share before we call her bedroom done. It is so much fun to decorate a teen bedroom! our Craft and DIY posts for inspiration! 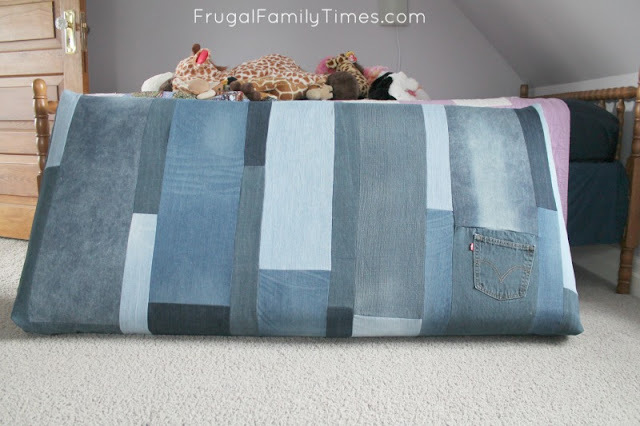 If you like this window seat cushion, you'll love our denim quilt, too. Robin, that cushion looks fantastic and try as I might, I can't find the wonky stripes! But, I do know that look...I get it from all my family members. My husband is fond of reminding me, 'don't let the perfect be the enemy of the good'. 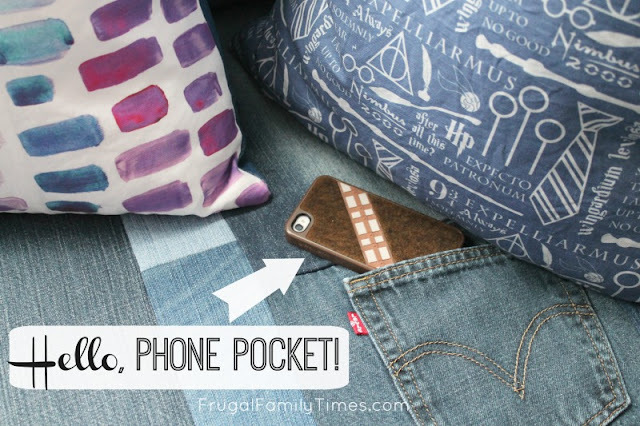 And that phone pocket! Genius! What a great detailed tutorial. Thanks. Wow! 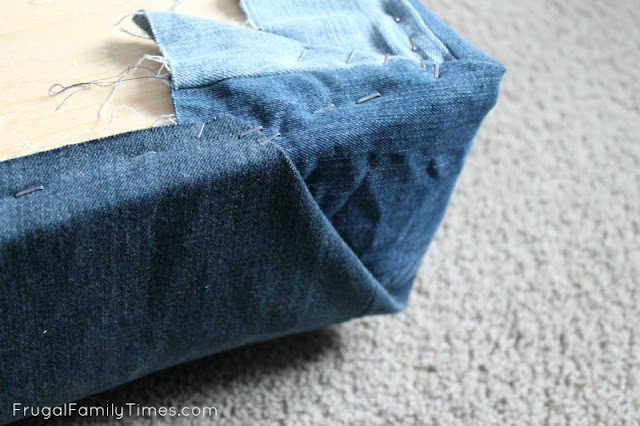 I would have never thought to recycle jeans into a cushion! 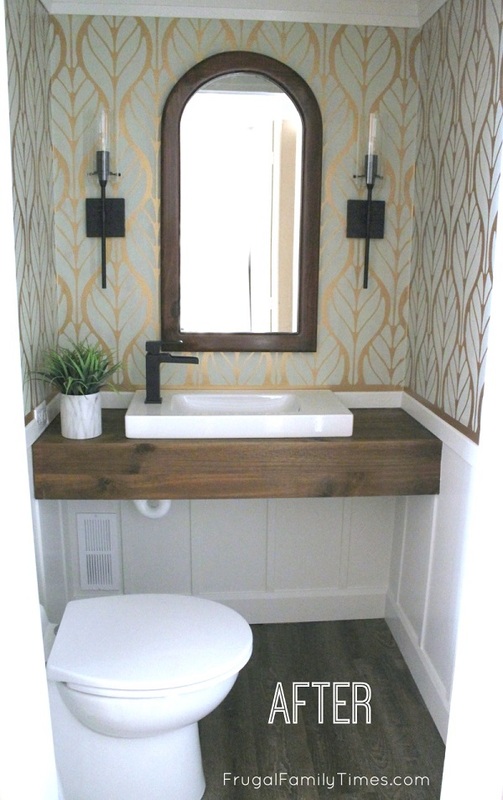 Love this and that built-in pocket is fab!! Thanks, Ashely! This project was really fun! 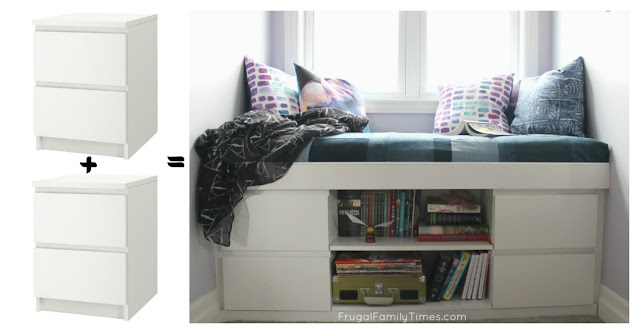 I love a good ikea hack! Jeans are so durable this is going to hold up great! Pinning. WoW! It’s an amazing idea. I have a plan to make DIY simple window seat hat will be amazing.